Bisi Bele Bath is a spicy vegetable rice and daal/lentil based dish from Karnataka. In Kannada ,Bisi means hot ,bele meaning daal. 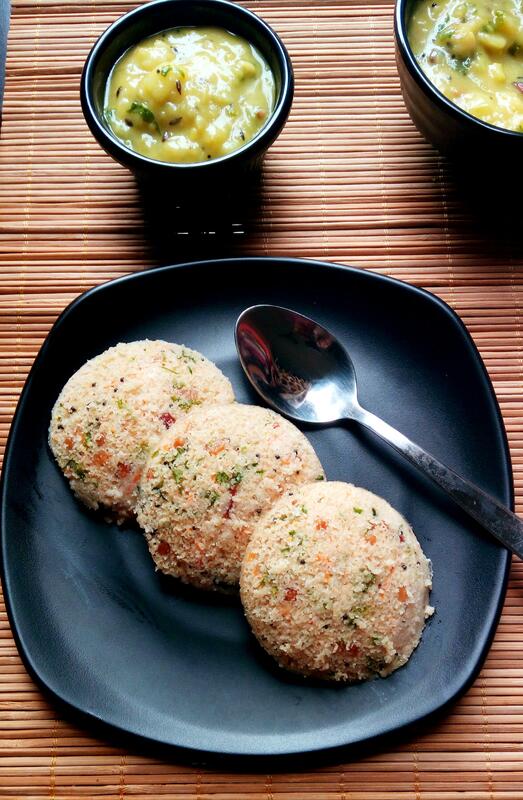 As this rice is prepared with dal and is served piping hot topped with ghee,its named as Bisi Bele Bath. Most important key for this dish is its masala powder. Making bisi bele bath spice powder is quite easy . For making Bisi Bele Bath , I have dry roasted all spices except red chilli and coriander seeds , instead I have used readymade red chilli powder and Coriander powder , refer notes. There are many ways of doing this dish but I try one of the simplest way and it tastes really delicious. You can prepare and keep this bisibele bath powder ready in airtight container to use as and when required. You can also find ready bisibele bath powder from MTR and Maiya’s too, but as we all know homemade always tastes better. I prepare this powder instantly and use it as we get nice aroma out of it and tastes better. You can try this for breakfast as well as for main course. I also prepare Sambar powder , Puliyogare Masala Paste at home, which tastes absolutely delicious with authentic touch. If you have not tried this, do give a try as it’s worth tasting and healthy too . It’s a one pot meal where all veggies , lentils and rice are cooked together. With this Bisibele Bath get your veggies – vitamins, minerals ,dal- protein and rice- carbohydrates everything in a single serving, its a very healthy dish. Also I would like to highlight many other Karnataka Style Dishes , which may interest you Tomato Bath , Vegetable Bath, Khara Pongal , Sweet Pongal , Akki Roti , Avarekalu Bath , Masala Lemon Rice and Puliyogare. 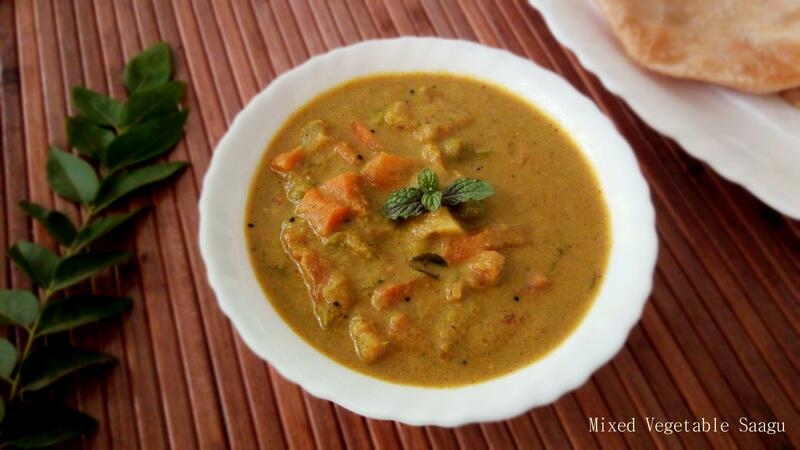 Karnataka Delicacy Bisibele bath is spicy, hot and sour one pot meal prepared with Toor Daal ,Rice and Veggies. Wash and soak dry green peas in water for 5-6 hrs or overnight. Drain water and keep it aside. Wash and rinse toor dal and rice together twice. Soak tamarind in 1/2cup warm water and keep aside. In a pressure cooker ,add washed dal, rice and soaked green peas. Add all the cut vegetable chunks,1/4 cup oil, 5 cups water and pressure cook for 1 whistle. Once it's cool down, in a dry mixer grinder make a coarse powder. Add Red Chilli powder, Coriander powder,turmeric powder and dry coconut to the above coarse powder and blend it together. Extract the tamarind pulp juice ,strain it through sieve and discard the residue. Mix the above blend powder with tamarind juice and make a paste of it. Once the pressure releases on its own, add the above prepared paste, salt ,jaggery powder and 1/4 cup oil and cook on very low flame by stirring from the bottom,till it starts to thicken. Prepare tempering,heat 2 Tbsp ghee, add mustard seeds, cashews ,curry leaves, broken red chilly pieces,chopped onions ,fry well and add hing. Pour the tempering over the prepared Bisibelebath. Serve hot topped with Boondi and ghee. Add 5 cups of water initially,if you find it thick then add 1/2 to 1 cup hot water . I use Everest Tikhalal , 1 1/4 Tbsp is perfect for this recipe as it will be bit spicier ,if you eat less spice use 1 Tbsp only. Orelse you can use 2 byadgi red chillies + 4 Guntur red chillies , dry roast along with 1.5 Tbsp of Coriander seeds and blend everything together. While serving , along with boondi add some ghee roasted peanuts and dry coconut slices for extra delicious touch. Soak dry geen peas overnight(6 hrs) . Soak Tamarind in warm water and extract juice out of it a set aside.Wash and soak rice,daal for 10 minutes. Take a pressure cooker, add rice,daal,peas and all cut vegetables.Add 1/4 tsp turmeric powder,1/4 cup oil ,11/2 Tsp salt , 5 1/2 Cup of Water and pressure cook for 1 whistle. Roast all the ingredients under dry roast powder with a drop of oil.Blend it in a mixer. To this add redchilly powder,haldi,coriander powder,dry coconut and blend it again. Add this powder,jaggery to tamarind juice and mix well with little water to make a paste. By now pressure will be released from pressure cooker,if not release it manually and add this tamarind paste,1/4 cup oil,salt to taste.Mix well and cook on slow flame for 5 minutes. Temper all the ingredients under tempering one by one in order and pour over the rice. Mix well and serve hot topped with ghee, khara boondi / potato chips. I did try your vegetable briyani, exactly following the instruction it turned out very delicious.